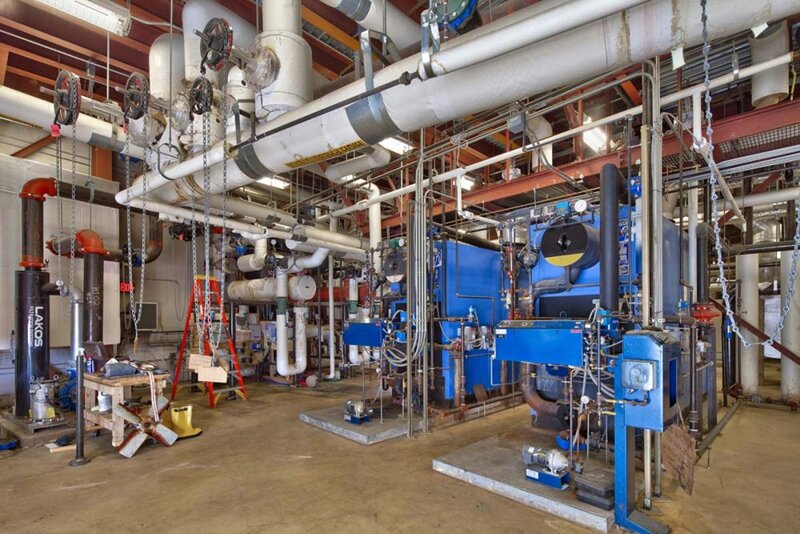 The original boiler plant, designed in 2004, was comprised of two, 250 HP high pressure steam boilers, with future plant space capacity for two additional 250 HP boilers. 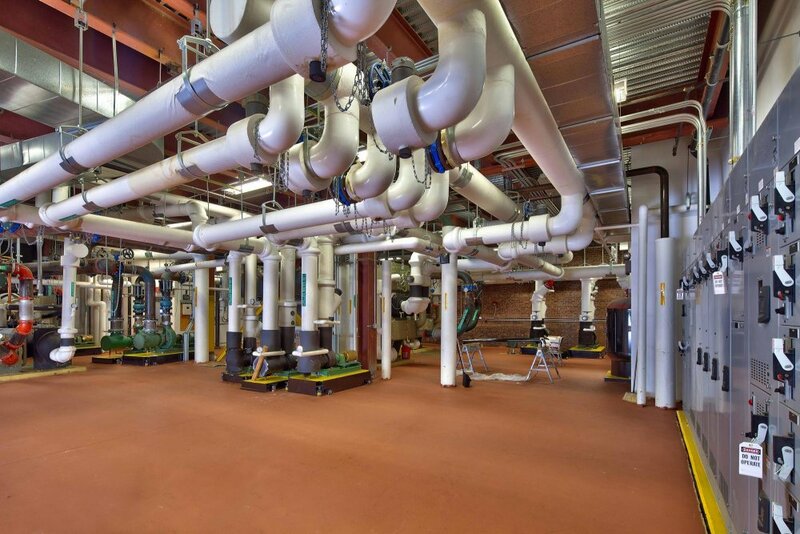 Distribution to the district plant's customers is high temperature 2400F hot water in an underground distribution system to several buildings in the vicinity of the 400 block of State Street in Schenectady, NY. 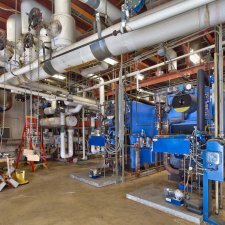 The boiler steam system was designed for steam usage by the absorption chillers in the plant with the flexibility of future conversion of the steam boiler to hot water in the event the chilled water plant would be converted to centrifugal chillers. 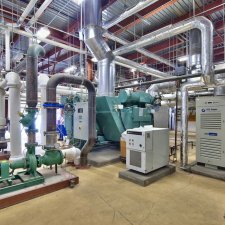 The original 2004 chilled water plant consists of two 500 Ton absorption chillers and one 250 Ton screw chiller, with future plant space capacity for two additional 500 Ton centrifugal chillers. 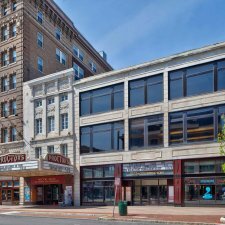 The underground distribution system supplies 420F chilled water to the State Street Area of customers in Downtown Schenectady, NY. 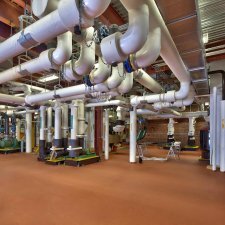 Distribution to the district plant's customers is 240°F medium temperature hot water in an underground distribution system to several buildings in the vicinity of the 400 block of State Street in Schenectady, NY. 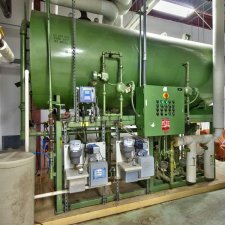 The recent plant upgrades have increased the plant's heating capacity with two (2) 250 HP and one (1) 109 HP hot water boilers. 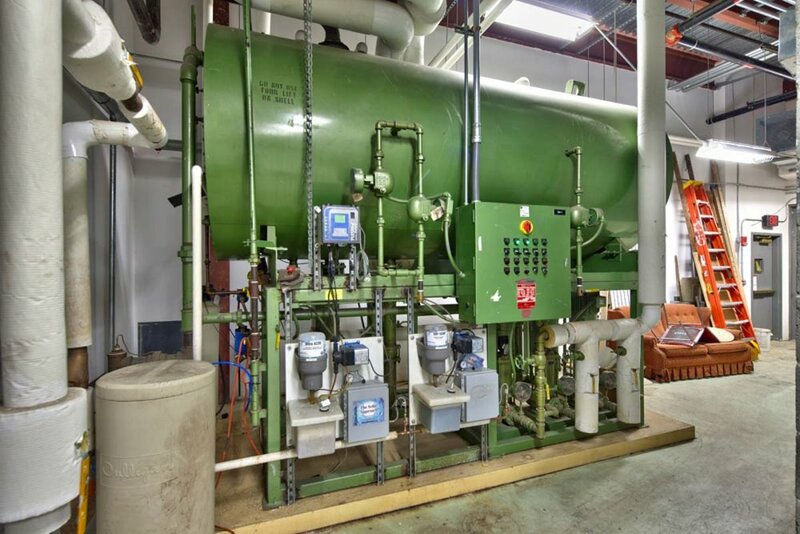 Additional space is available for one additional boiler. 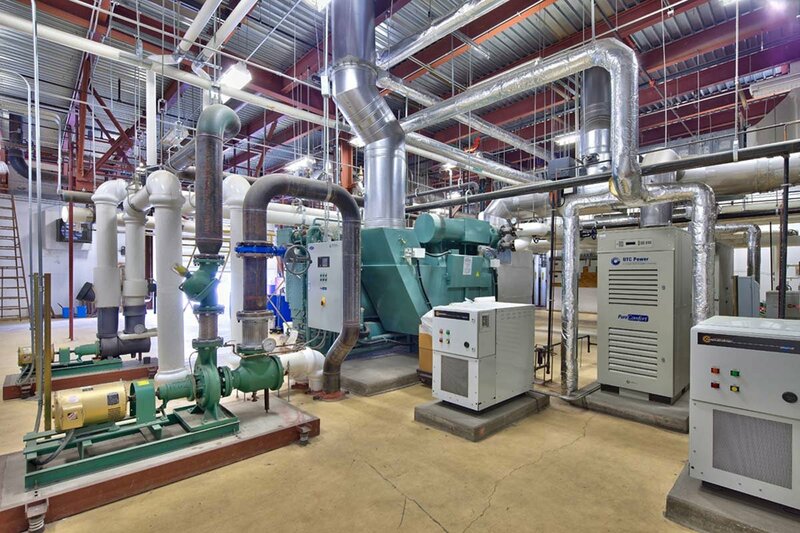 The recent 2014 plant upgrades have reconfigured the plant's cooling capacity. 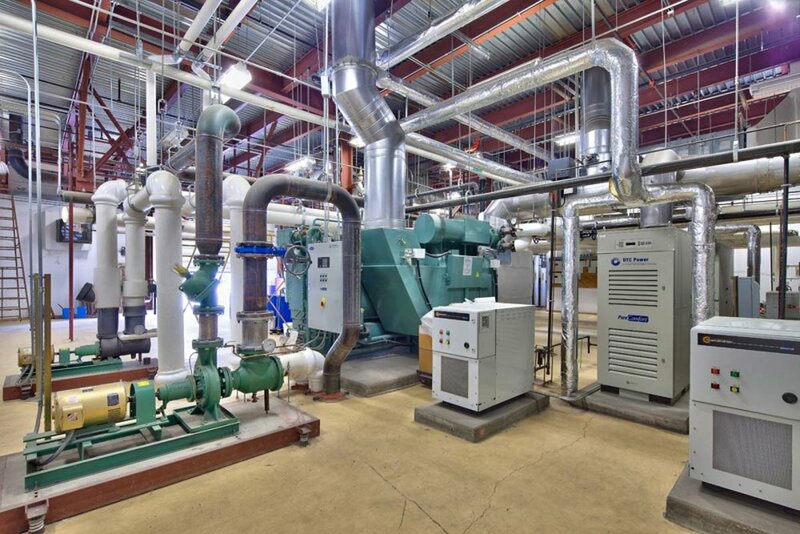 The plant now contains two (2) 500 ton centrifugal chillers and one (1) 250 ton screw chiller. 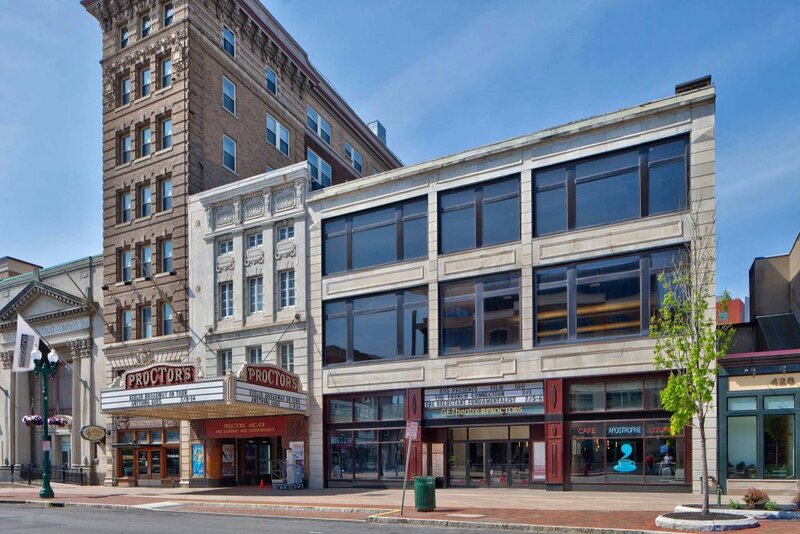 The underground distribution system supplies 42°F chilled water to several buildings in the vicinity of the 400 block of State Street in Schenectady, NY.